When two black holes merge, the orientation of their axis of rotation can change abruptly. This is known as a spin flip, and typically happens when the orbital plane of two black holes is different from the rotational axes of the black holes. The total rotation (angular momentum) of the orbiting black holes is constant, so when they merge, the orientation of the merged black hole must be in the direction of the total. While we’ve known this for some time, it’s generally been thought that before the merger the rotation of the two black holes is fairly constant. Now new research finds this isn’t the case. The results are published in Physical Review Letters, and are based upon detailed computer simulations of merging black holes. While we know the equations of general relativity extremely well, the complexity of these equations means that even a general two-body solution can’t be solved exactly, unlike Newtonian gravity. 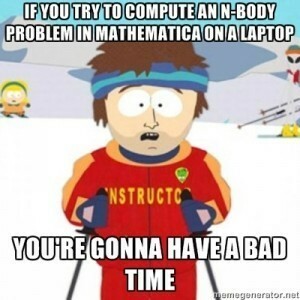 While there are ways to find approximate solutions, detailed studies require solving Einstein’s equations numerically. With the rise of powerful supercomputer clusters and advanced software, we’ve finally reached the point were very detailed solutions can be obtained. The shift of spin orientations over time. In this case, the team used the Blue Sky linux cluster at my university (RIT) to analyze the spin orientation of two orbiting black holes as they are close to merging. 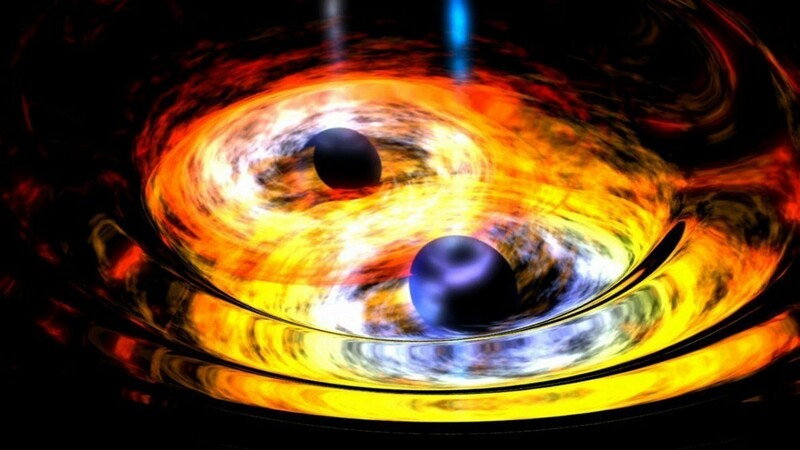 What they found was that the spins of the two black holes interact gravitationally (what is known as spin-spin coupling) and as a result they can transfer angular momentum between each other. This means that the orientations of their spins change over time. This has important consequences for observations of merging black holes. We can determine the rotational orientations of black holes by the jets that stream from their poles, so one way to look for mergers is to look for an abrupt shift in the direction of a jet. What this work shows is that there can be gradual shifts leading up to a merger, so there isn’t necessarily a sharp shift in the jet. 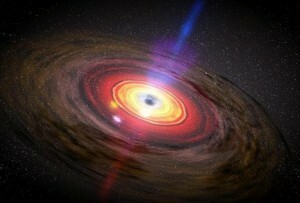 So can anyone answer if a black hole can grow? When I look at the equations of time dilation in a gravity well then it tells me that at the event horizon time stops. In that case then nothing can fall into a black hole, except through tunneling, and they will never grow. It there something else that contradicts this relativistic equation?